What’s up with Apple’s next iPhone device? Wondering what the next Apple smartphone looks like when it arrives? Well, let's find out what early rumors have on it. After the successful debut of the iPhone 5S and iPhone 5C, Apple fans from around the world are already up to finding out what comes next. Rumors then began to stretch further, all talking about Apple's next smartphone flagship, which is likely be to called the iPhone 6. 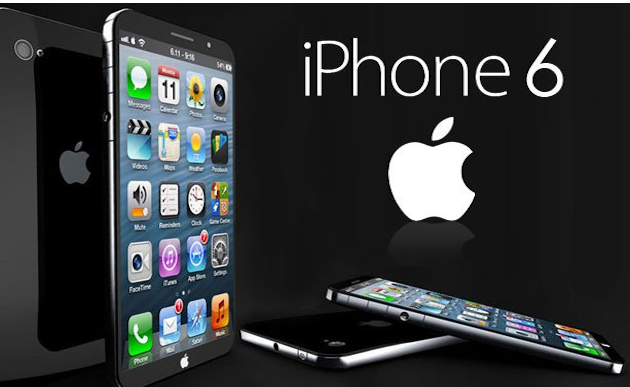 Early buzzes claimed that the highly anticipated iPhone model could be the biggest among other existing iPhones, yet. CNET, on its prior report has talked about early predictions from analysts and sources, claiming about Apple's plan to roll out two new phone variants in 2014, similar to what it did in September 2013 when the company released the iPhone 5S and 5C. Although Apple has not yet uttered any comment or confirmation about what it has up its sleeves for the next iPhone or even if it is already working on a new iPhone, pertinent sources are already guessing the next Apple smartphone device will be labeled the iPhone 6, based on the company's schemes of naming its previous smartphone releases. Basing on what the analysts thought about Apple to introduce yet another two new iPhones this year, rumors are as well claiming that there will be a large iPhone version and a smaller one. The larger version, probably the high-end model, is thought to come with a 5-inch or larger screen while the smaller version to come with a size that is closer to that of the iPhone 5S, probably around 4.7 inches, and could possibly lower-end. Meanwhile, some analysts have projected that the next iPhone will come with a higher-speed, 802.11ac Wi-Fi connectivity. The high-end (larger) model is said to have a 1,920 x 1,080 low-temperature poly-silicon (LTPS) LCD display, while the lower-end (smaller) model with a 1,600x900 resolution display. Aside from a larger screen display, Apple is purportedly planning to channel the plastic casing used in the iPhone 5C and opt for a metal in both versions of the new device. According to one pertinent report, from the Wall Street Journal, Apple will set the iPhone 6 to debut during its 2014 Worldwide Developer's Conference in June. However, some rumors have said the new iPhone won't be up for grabs until this fall, considering the fact that since the year 2011, Apple has revealed its new iPhones in September and October. Given the presence of larger-screen entrants from rivals Samsung and Nokia, experts strongly perceived that Apple might as well be launching its new iPhone devices in bigger screens, anytime soon this year. Let’s keep posted then!